Jalan Besar Stadium, Singapore, Saturday, June 23, 2012 — The Singapore Under-16s got off to a winning start after a late comeback against the Ajax U-15s in the Canon Lion City Cup 2012 tournament. Ezra Walian had opened the scoring for Ajax in the 44th minute after missing a penalty in the first half, but Mahathir Azeman equalised from the spot on the 56th minute, and Zulfadhmi Suzliman scored the winning goal two minutes from full time to ensure Singapore U16s ended with all three points. There were some crucial changes made to the tournament this year. Teams are playing 40- instead of 45-minute halves, and the number of substitutions allowed in a match has been increased to five. Also, sudden-death penalty kicks will be held at the end of each group stage match. The penalty kicks will serve as a tiebreaker in the group stages. 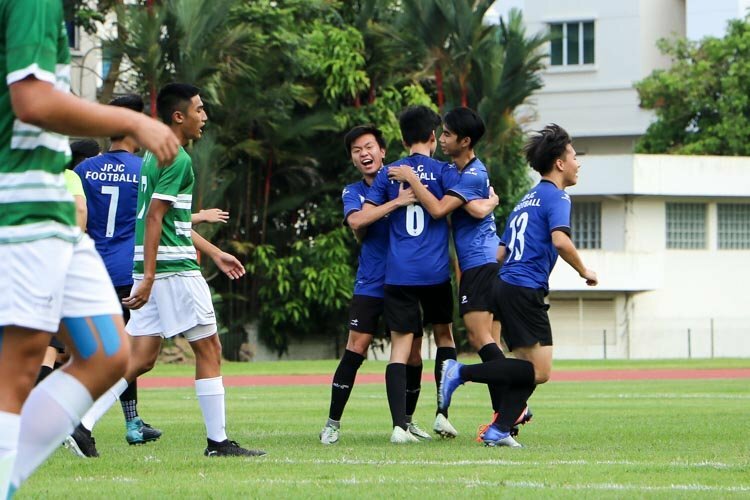 The Singapore U16s came into the match with high expectations, having finished last year’s tournament in third place. Adam Swandi, who stood out in last year’s tournament, was given the responsibility of leading the U16s out of the tunnel as captain. While our U16s were lauded for its attractive attacking football, Ajax have been traditionally known for the Dutch philosophy of Total Football. The match looked set to be a fantastic spectacle, but in truth, it was littered with misplaced passes from both sides. Ajax had more of the possession with their captain, Abdelhak Nouri, a standout player right from the start. Abdulhak was comfortable with the ball and dictated play from midfield. He combined well with Vaclav Cerny to create a couple of half-chances at goal. 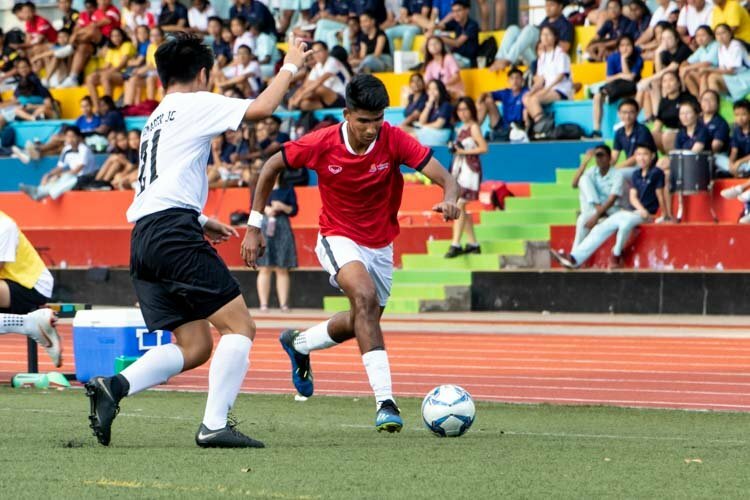 Singapore U16s looked overrun in midfield, with no one really closing down Nouri, but they managed to create the first real chance of the match. A long ball forward was chased by both Adam Swandi and Ajax goalkeeper Joost Meendering. Adam won the footrace, but he poked the ball centimeters wide of the post. Ajax were still causing a lot of problems for Singapore U16s and they soon won a penalty after R Aaravin was judged to have fouled Walian. Walian got up to take the spot kick but his shot hit the outside of the left post, much to the relief of Singapore goalkeeper Heirul Suhanes. 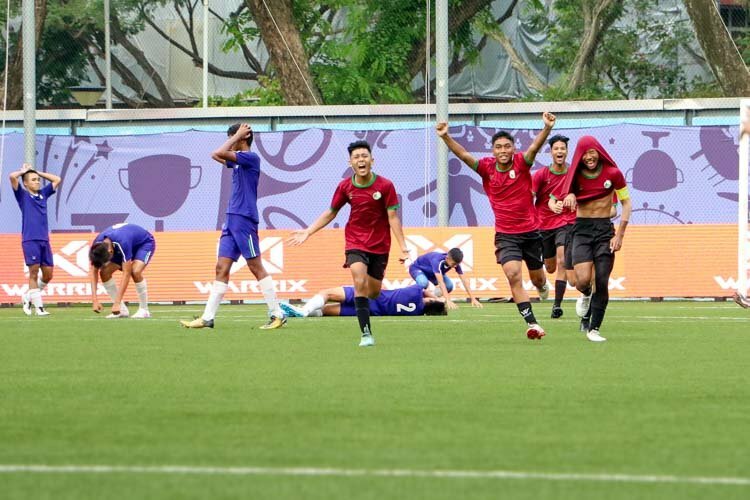 Singapore U16s then responded with centre-back Taufiq Muqminin sliding in a brilliant through ball to release Zulfadhmi one-on-one with the keeper, but he was dubiously judged offside by the linesman. 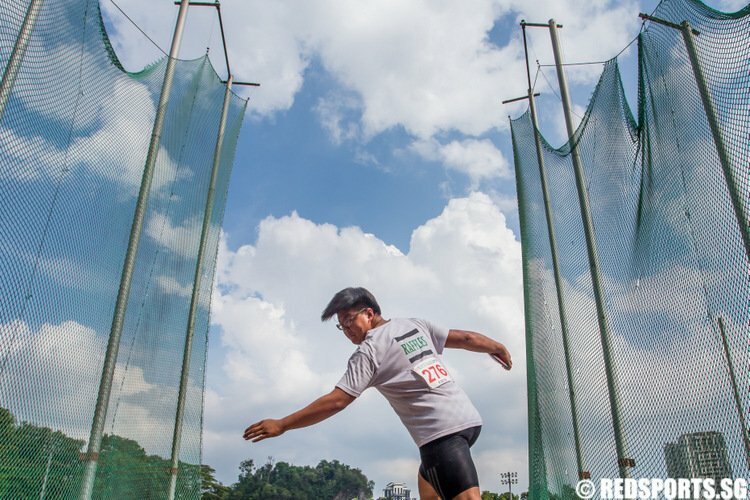 Then from a set-piece routine straight from the training ground, Singapore U16s fashioned another chance. 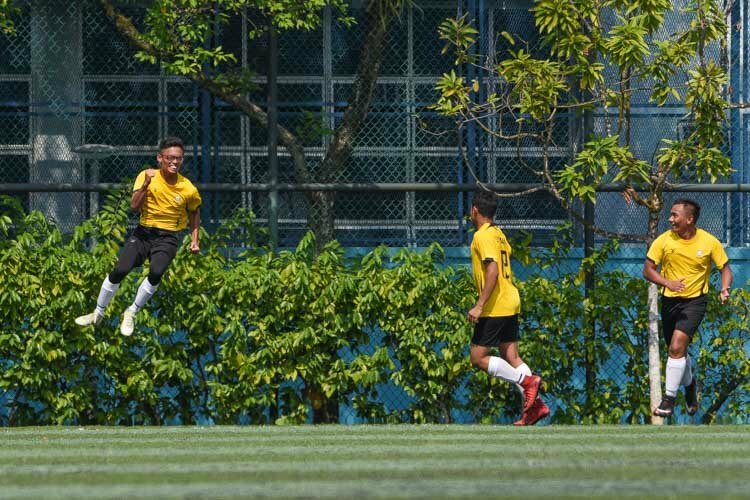 The ball found right wing-back Iqram Rifqi who then played a pin-point cross for Azhar Ramli, who could only head it onto the crossbar with Meedering left flat-footed. Rashe Rahman’s follow up then forced Meendering into a flying save. 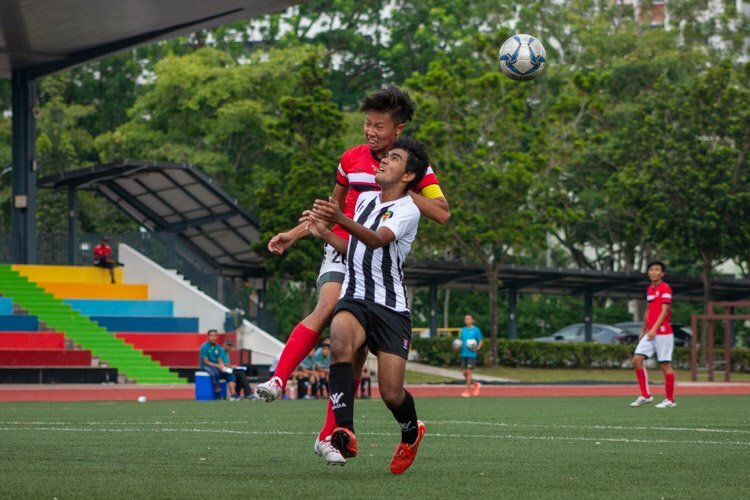 After surviving some pressure from Singapore U16s, Ajax began to take control of the match. Through their captain and playmaker Nouri, they created three great chances to open the scoring but were stopped by some last-ditch defending. Singapore U16s keeper Heirul looked uncomfortable in the air, especially against his tall Dutch opponents. Cerny and Azhar got close in the closing stages of the first half, but both lack composure in front of goal to really test the goalkeepers as the teams went off with the score at 0-0 at half time. In the second half, Ajax continued their tempo, and were rewarded with a wonderful goal by Walian. From a cross, he calmly chested the ball before side-footing it past Heirul to score the first goal of the tournament. The goal galvanized Ajax, and Singapore U16s lost their composure, in particular their captain Adam. 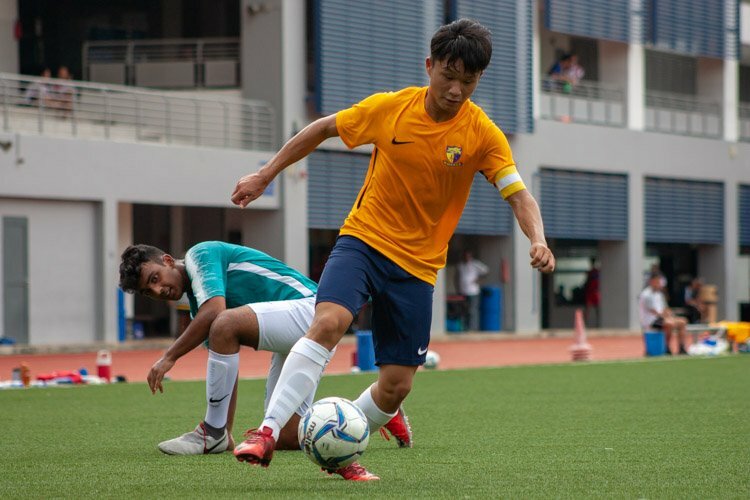 Singapore U16s got a lifeline when referee judged that Aaravin was pushed illegally in the penalty box during a corner. 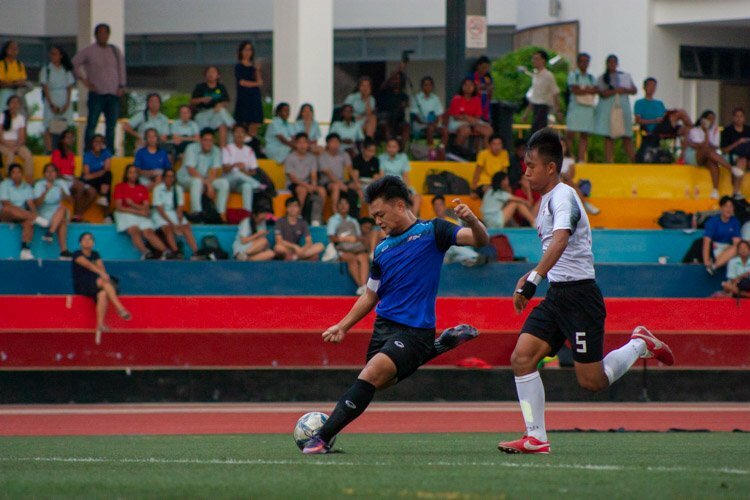 Mahathir stepped up to the spot and calmly dispatched his shot into the bottom corner to equalize. It was still only in the 56th minute and it was game on. 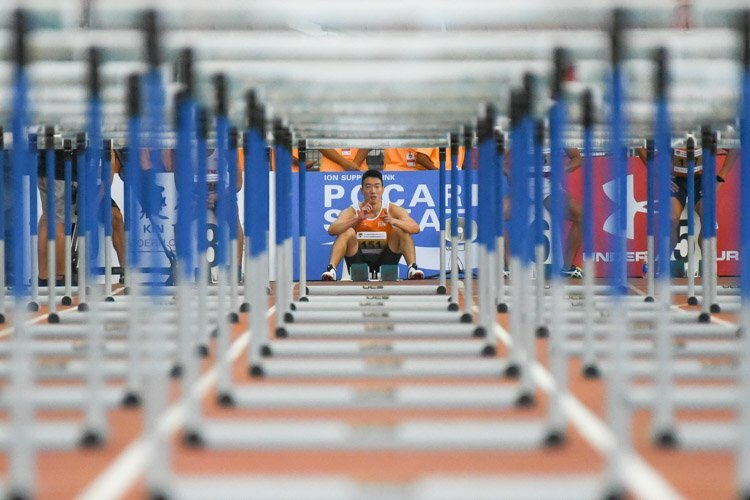 Singapore coach Dejan Gluscevic then took off Ehvin Sasidharan and Azhar for Noor Faridzuan and Raja Ahmad Zaki and these fresh players upped the tempo of the game. Ajax sub Nabi Hakimzadeh dribbled past three Singapore players before finally being stopped by the fourth before he could shoot. 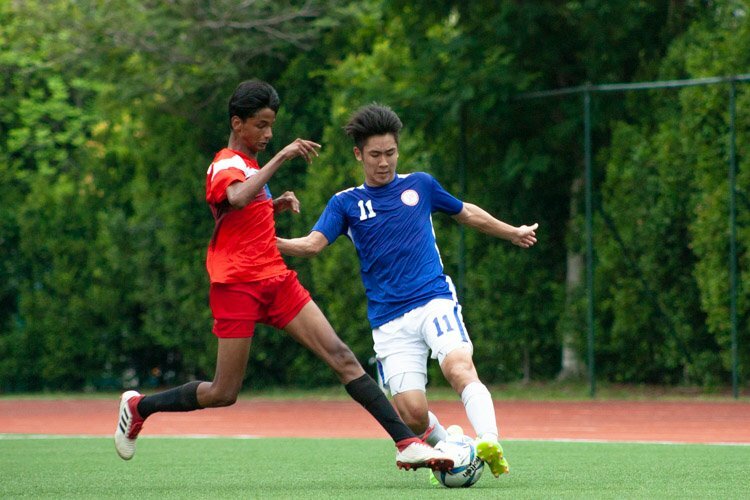 Then it was Singapore sub Zaki’s turn. Zaki threaded a beautiful pass for Zulfadhmi who used his pace to beat his defender and lob his shot past Meendering with only two minutes to go before full time. In injury time, Zulfadhmi released Faridzuan one-on-one with the keeper but Meendering closed his angles well and saved smartly. The Man of the Match award went to Ajax captain Abdelhak Nouri. In the sudden death penalty shootout, Ajax outshot the Singapore U16s 3-2 with Faridzuan missing his penalty kick. The U16s will face FC Porto U15 on Monday, June 25, 8.45pm, at Jalan Besar Stadium. 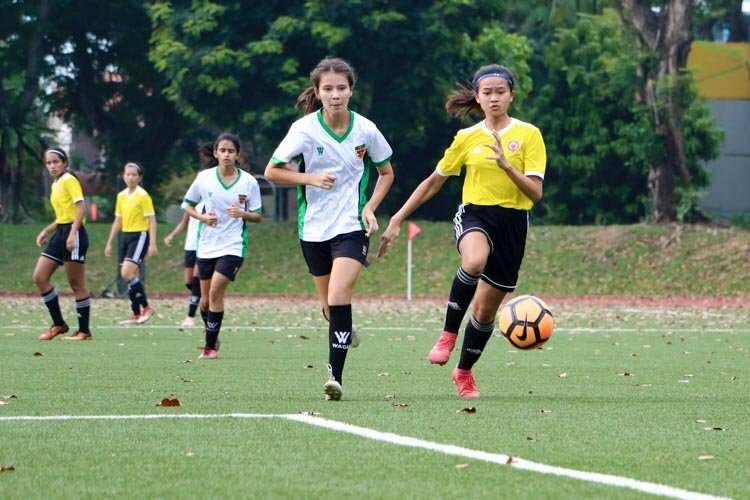 In the later match, Singapore U15s lost their opener 1-2 against Vasco Da Gama. Luan Martins and Tauan Oliviera scored for Vasco Da Gama while Amer Nazri scored the consolation goal for Singapore U15s.